THANK YOU for adding your voice!.. I LOVE doing what I do... Knowing you were pleased with the experience... PRICELESS! 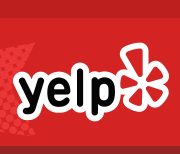 Yelp will hide your review unless you have a profile photo and use Yelp. Take a sec to write up a recent food experience before you share your experience with us.